We Provide Tent And Event Rentals Without The Stress. 1: Is it important for you to be in charge of most wedding decisions? 2: Do you want to celebrate as long as you want? 3: Is it important to have more than 1-2 hrs to rehearse and decorate? If you answered YES to 1 of the 3 questions above, then I’d like to offer you a FREE Wedding Rental Quote. Do You Plan on getting married twice? If you answered NO, then I want to give you 3 reasons why EVERY bride deserves to rent our stuff for their wedding. 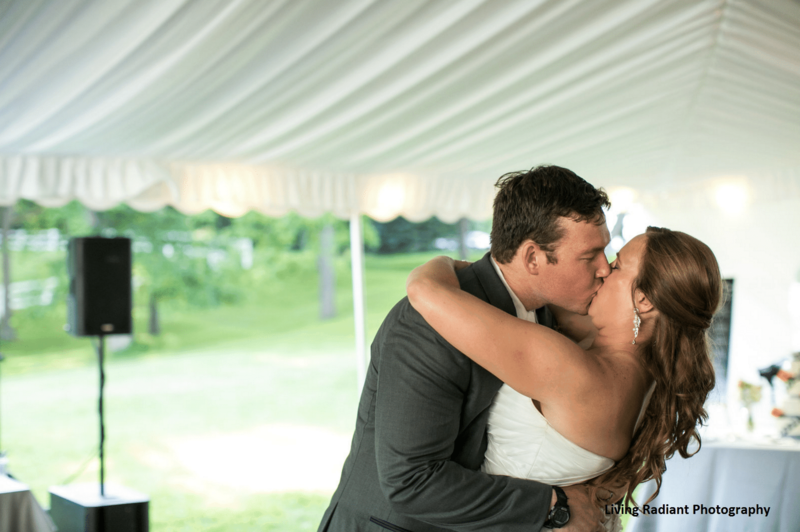 Since you don't plan on getting married twice, you could agree that your first wedding MUST be dreamy, right? If so, then don't let anyone tell you what you can/cannot do. It's YOUR wedding. Which comes down to FREEDOM. Most venues have "preferred vendors" where they control who your caterer, photographer, etc is... It's frustrating and no bride deserves to be controlled on their wedding day. Do you like shopping? If so, do you ever glance through racks of clothes thinking "love this, don't like that, ohhh love this, not that?" Imagine being able to CREATE any style wedding you can imagine. 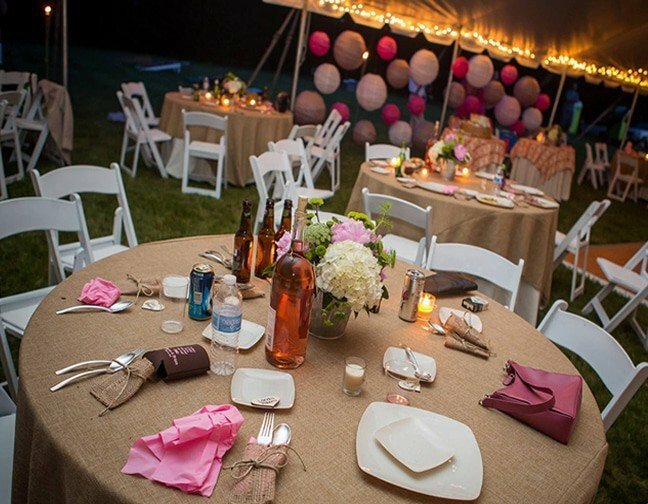 When you rent our tents and event rentals, you get to mix and match JUST like shopping until you find "the one". How frustrating is it when you tour multiple venues, hoping you'll find the perfect one... but never do? Because each venue is different. PSST.... the perfect venue doesn't exist, UNLESS.... you create it. And that's what renting your wedding allows you to do. We help make it super simple to basically match your "vision" with our rentals/services to make your dream wedding a reality. "So, What Do You Rent?" 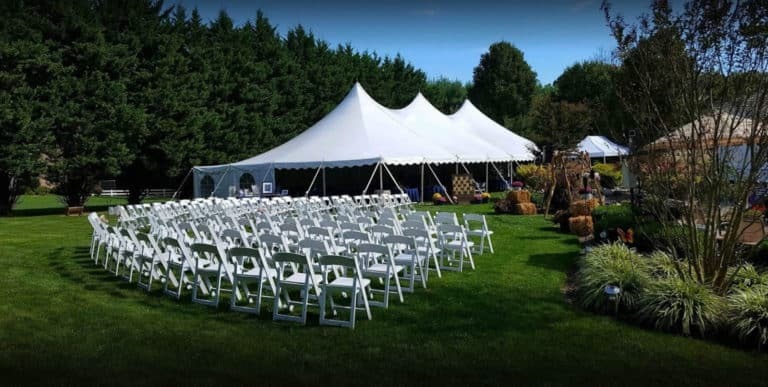 We can help you choose the right style/size tent that will be best for your wedding. Nervous about space? We can provide a site inspection of your property to measure your space. 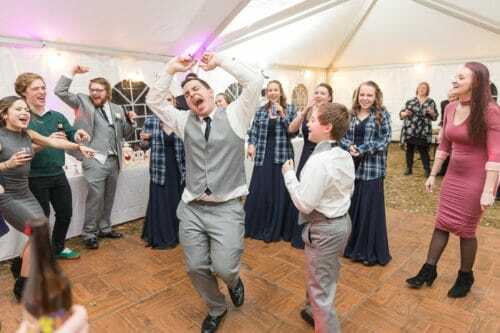 Keep your guests moving and having a blast on our wooden dance flooring. 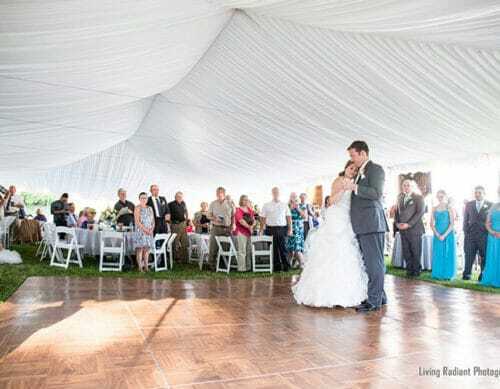 We can help you choose the size dance floor you'll want based on the size of your wedding. Our tables are great for guests, food, cake, sweetheart tables and so much more. 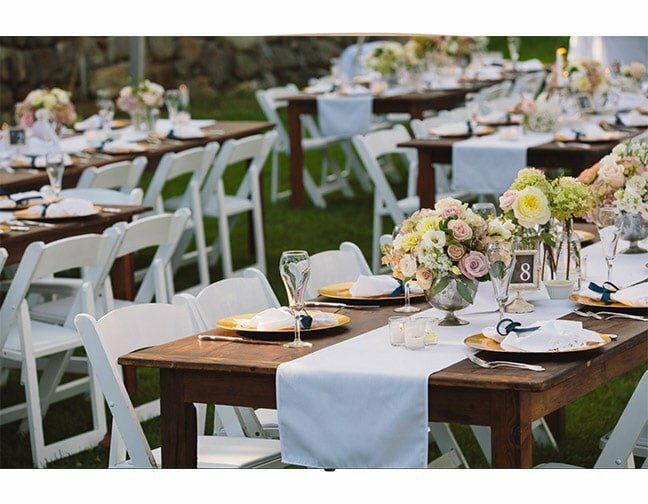 We can help you choose the right tables AND how many you'll need to fit your wedding needs. With over 59 colors to choose from, we can provide you with high quality table linens that match your wedding theme. 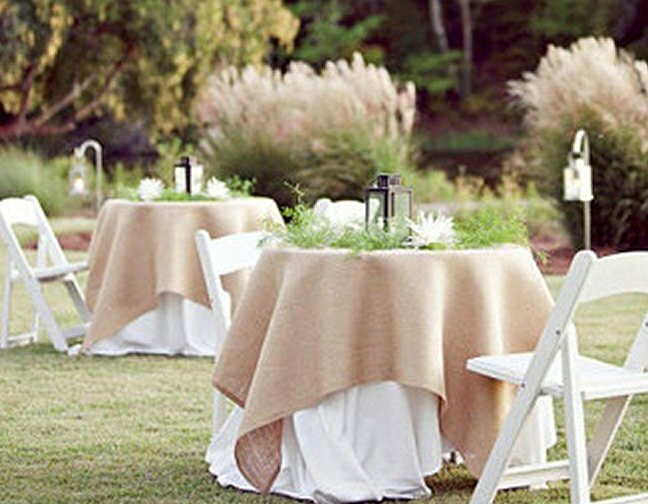 Renting your table linens is cost effective vs buying them. We keep our chairs in the best condition since we know how much of a pain dirty chairs would be on such an amazing day like your wedding. 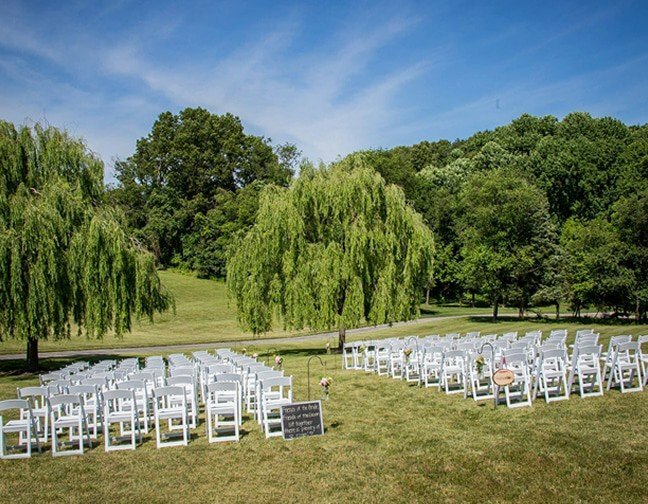 Our chairs are great for the reception, ceremony or BOTH! 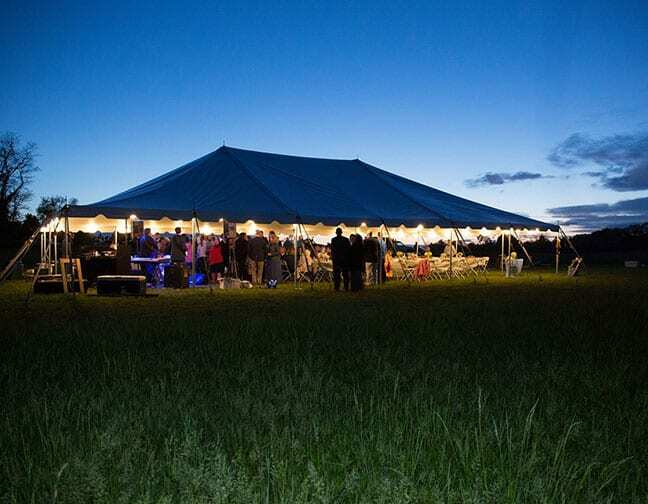 We can provide lighting inside of your tent around the perimeter or in the top of the tent. This adds such a unique and amazing look that will make your wedding truly shine. 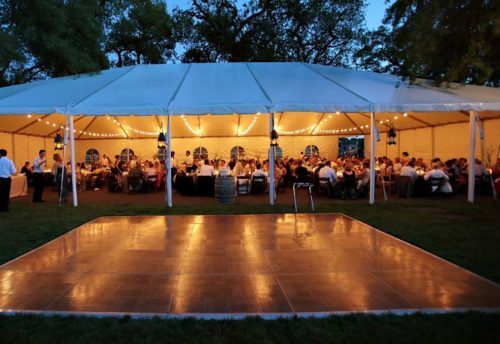 We offer many other event rentals but the ones above are the most common. 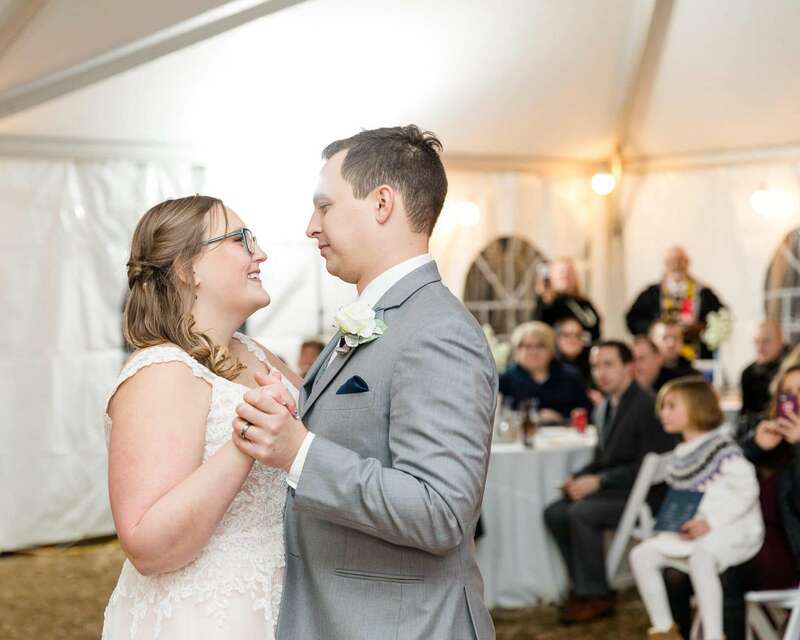 Click below to get started and we’ll help you choose the right rentals for your wedding (Even if you aren’t getting married under our tents). Also… many brides fear the chance of bad weather. It’s my pleasure to let you know that we provide “sidewalls” which go around your tent to make it “like a building”. This blocks out rain, wind and any risk of bad weather. WARNING: Many brides try to figure out all the rentals they’ll need, on their own. That’s what we’re here for. Please don’t waste time trying to figure this out alone. We’ve helped over 1,000 brides plan their wedding. Would You Love A Wedding That Looks Like This? Pricing depends on how much you need to rent. 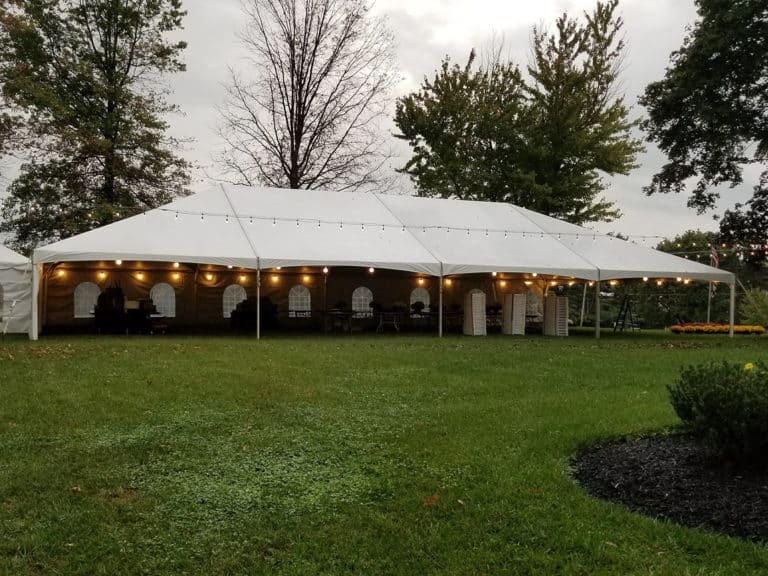 However, the average cost for ALL rentals (tent, tables, chairs, dance floor, lights, linens, etc) for 120 guest wedding is roughly $2,500. Don’t need a tent? Tables start at $6.50 while chairs start at $1.50. We aren’t “cheap” but we’re also not expensive. We just believe in “you get what you pay for”. So we rent nice things at a fair price. How do I reserve my rentals? We never recommend trying to figuring out this part on your own. It depends what is going under the tent and many other factors. 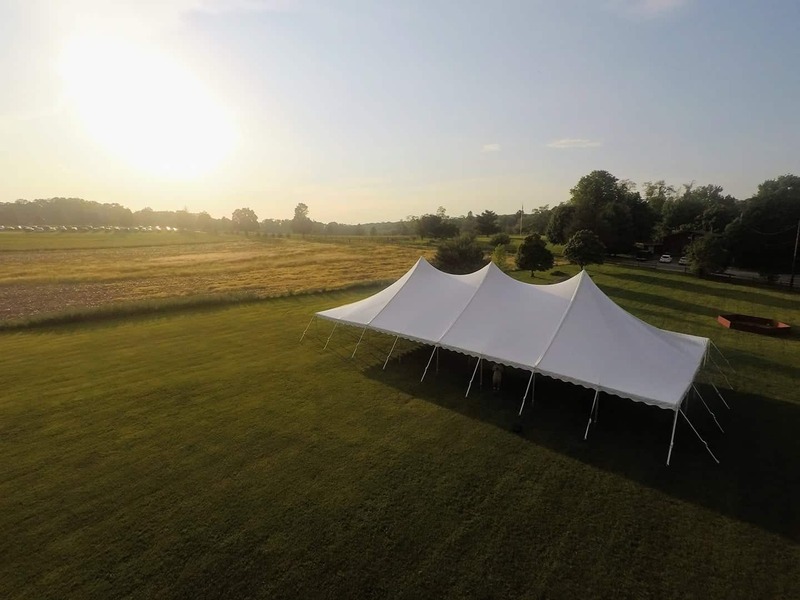 Contact us and we’ll save you hours of research and tell you within 30 seconds what size tent you should rent. What if I don't have the space for a tent? We have many trusted partners/vendors in the wedding industry. 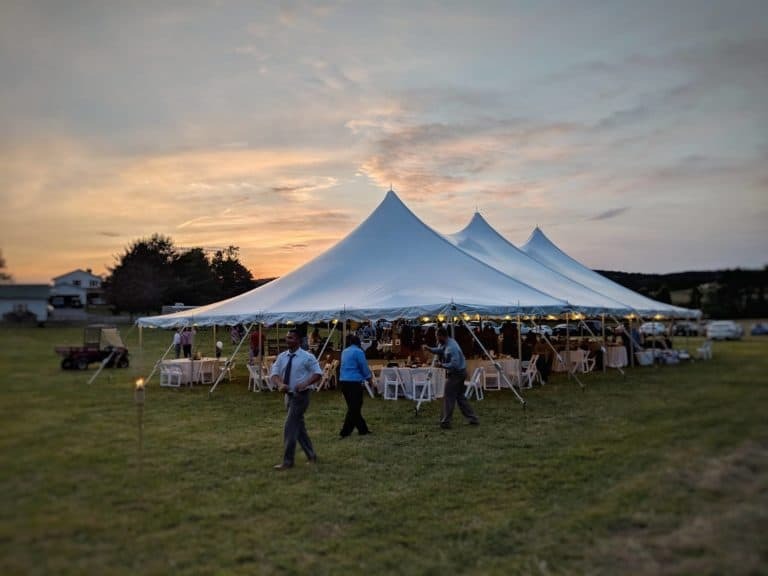 If you don’t have a space to do an outdoor tent wedding then contact us and we can show you some properties that we work with. Who sets up the tent? We do. All tent rentals include professional installation at NO extra cost. The price you see, is the price you pay. Additional “labor” costs is just a sleazy way that other companies operate to make you pay more than you need. Yes we do. Our delivery fee is based on the address of the event. We know that orders will change, especially if you reserve your rentals in advance. Which is why we allow you to make changes to your order up to 14 days before your event.